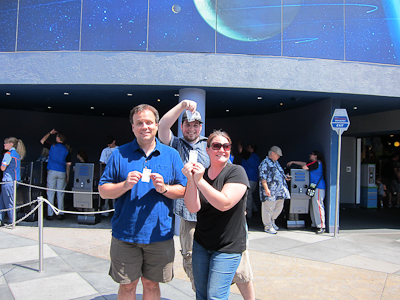 As fun as it is to have the kids at Disneyland, it’s a totally different experience as adults. Next time you come down we can get a sitter for all 3 and have some fun! When I come back to LA in February, there will be epic Disneylanding that needs to happen. 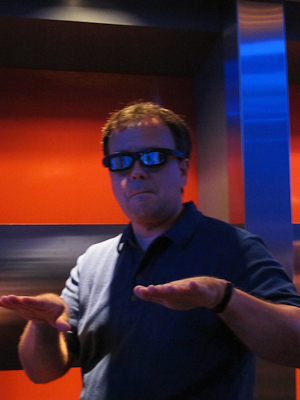 My Disneyland tradition has always been to go on Star Tours very first. But now it sounds like it will have to be first, second, third, fourth, and fifth. I’m so relieved they didn’t muck up my favorite ride. Thanks for the report, Shelby! We rode 5 times with my 5 year old. Seeing the kid’s excitement was the biggest thrill for me, though he got a bit clingy at times. The pod race on Tatooine was my favorite part. 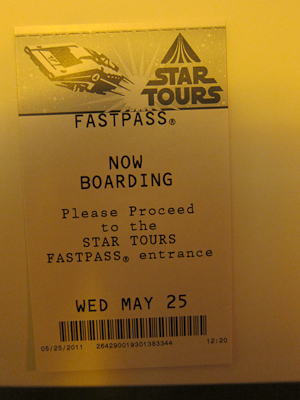 Saving the fast passes was a good move, wish I remembered to do that! I wish we’d gotten the pod racing. Hopefully next time! oh my lanta, I LOVE star wars. I’m a major dork. 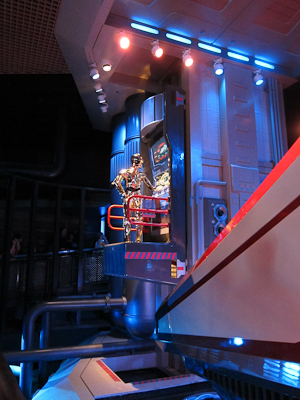 Even though it was so terribly pathetic, I still loved the old star tours very much, and this one sounds 110% better. 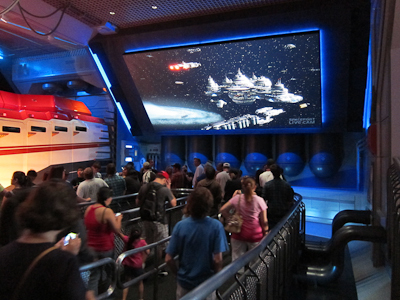 I wish I could go to disneyland to just ride this over and over again! I guess I will have to live vicariously through you! 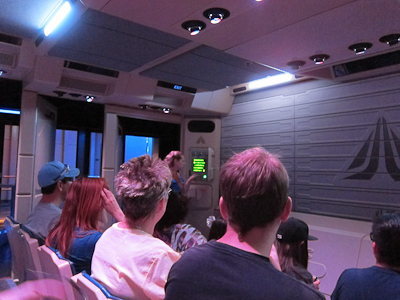 I don’t think the old Star Tours was terribly pathetic. It was just outdated. Back in 1987 it was positively groundbreaking. I think it’s a pretty good testament that guests still enjoyed it 20 years after it launched. 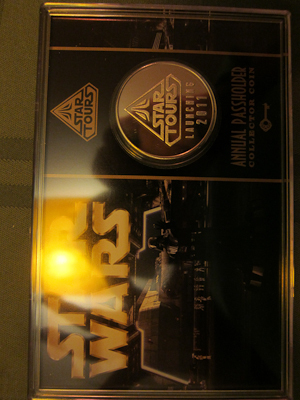 But it’s really awesome to see Disney take it to the next level. I wonder what it will look like in 2031! I WAS LIED TO! Darn you, Chris! It is good to know that people are not finding this to be a terrbily sickening ride. I have read in several different reports now that it is not causing motion sickness the way the other did. 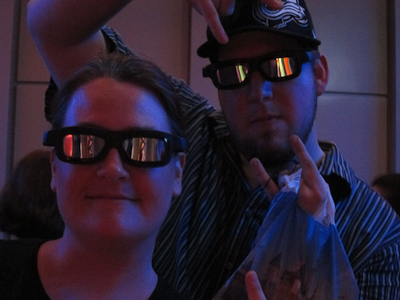 I actually do not have an issue with motion sickness, but I hate 3D glasses (they seriously bother my eyes and usually give me a headache). I’m glad to hear they have updated that technology too. 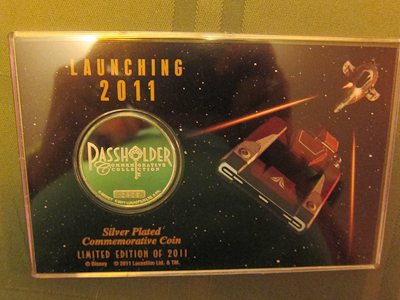 Yes, I’m not sure how they did it, but it’s definitely much less sickening than earlier versions. 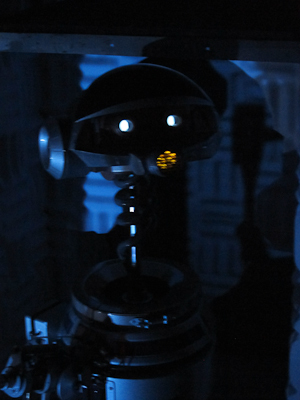 I’m also not a huge fan of 3D either, but these were great effects. 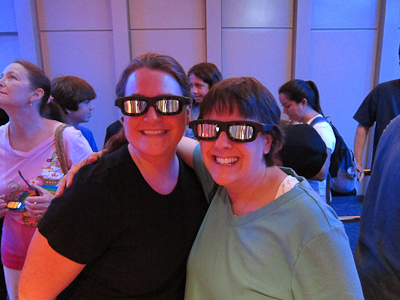 I can’t remember if my husband and I rode Star Tours when we were in DL years ago. I’m thinking not, though, or I would presumably have some faint memory of it. 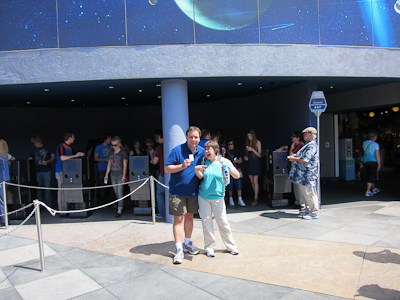 I can’t remember what year we went so it’s possible that Star Tours didn’t even exist yet…or maybe the line was so long that we didn’t want to squander time in it. 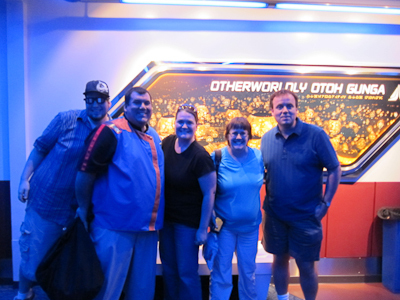 However, we DID go to Captain EO. I do remember that the old submarine ride was still there, so it was after 1984 (when we got married) and before whenever they took out the submarines. Melinda, according to some quick searches, Captain EO opened in 1986 (and re-opened last year as a tribute show), Star Tours opened in 1987, and the submarines were around until 1998. So perhaps you visited in 1986? 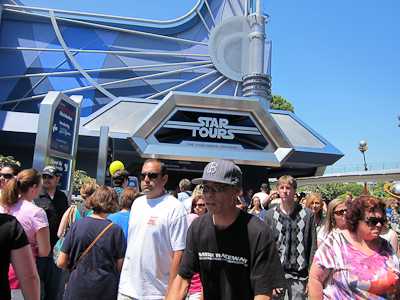 The original Star Tours had insane lines for a long time after it opened, so it could be you just bypassed it. Hope you make it back here soon! Thanks!! Wasn’t it a great day for riding too? Not too hot, not too cold. I’m not on Twitter right now, but you can find me on Facebook :). Thanks for stopping by! Thank you! You’re totally going to love it. 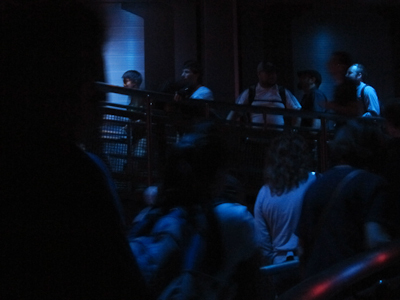 September will be a much better time to ride it, too, as there will be less competition for the Fast Passes. They’re going to go very quickly! You cannot wait. Go spend hundreds of dollars RIGHT NOW! So glad I found your blog, and a GREAT article and write-up! We’ve ridden it once, but unfortunately they were REALLY cracking down on picture taking so we got few for our own blog. I’ve LOVED seeing everyone else’s though and can’t wait to get back in there with my own camera! Thanks so much for sharing. Glad again I found you! Yay! And I also hope you’re able to nab a coin. They’re really cool (despite my bad photography). So just wanted to let you know, that I went again more recently and the special seat was definitely NOT the one we predicted. The day I went on (got on 4 times) each time it was totally random! Once the “normal” spot, another back row, each time was totally different! 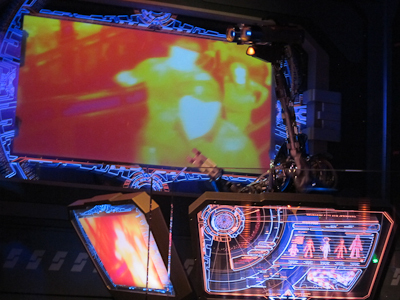 The reason the old Star Tours made you sick was at one point some brilliant lawyer decided that the movements of the flight simulator were too violent and that they cause motion sickness. 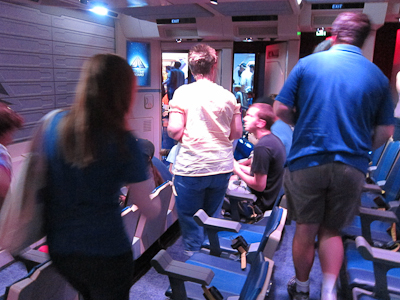 With that hypothesis they decided to smooth out the movements of the simulators and make it a less jarring experience. Unfortunately, the human brain doesn’t work that way and because the film no longer was synced exactly with the movements, there were actually *more* complaints of motion sickness after they made the changes than before. 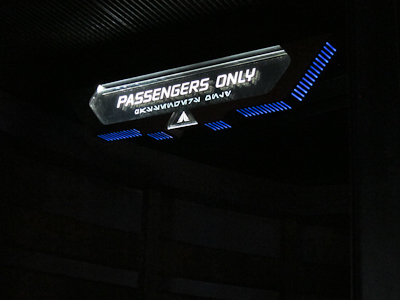 It’s one of my biggest pet peeves about the old Star Tours.